Susan K. S. Grigsby started her career as a media specialist in 1995 earning her Master’s Degree from Georgia State University (GSU) and her Ed.S in Educational Leadership from the University of West Georgia. She has worked in private school as well as four different public school systems in Georgia. She was named the Georgia Library Media Specialist of the Year in 2011. She is currently employed with Forsyth County Schools as the District Media Specialist. Susan has served on the board of the Georgia Library Media Association (GLMA) since 1999 as Independent Schools Representative, Communications Chair, News Leader editor, Treasurer, Library Media Specialist of the Year Chair, President-Elect, and President. 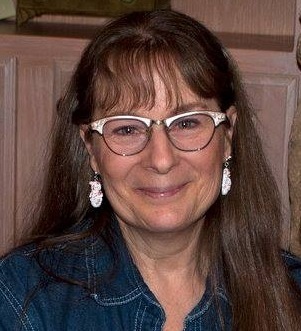 She has served as the Professional Development Chair for GLMA since 2010, and is responsible for producing an annual 2-day professional conference for Georgia school librarians known as Summer Institute. She has served the American Library Association (ALA) as an elected At-Large Counselor and a member of the National Legislative Committee. She serves the American Association of School Librarians (AASL) as a member of the Knowledge Quest Editorial Board and the Leadership Development Committee. Susan has been a frequent presenter at both local and ALA, AASL, and ISTE National Conferences.